Virgin Atlantic was established as British Atlantic Airways in 1984 with plans to fly between London and the Falkland Islands however after the airlines name change and disagreements between share-holders, the airline took its maiden flight from Gatwick to Newark Liberty International Airport in June 1984 and today reaches destinations in North America, Africa, the Caribbean, the Middle East and Asia from its main bases at London-Heathrow and Gatwick and its secondary base at Manchester. The airlines head office branded The Office is situated in Crawley, West Sussex near Gatwick Airport. Virgin Atlantic has code-share agreements with Air China, Air New Zealand, All Nippon Airways, Delta Air Lines, Jet Airways, Singapore Airlines, Transaero Airlines, Cyprus Airways and South African Airways. 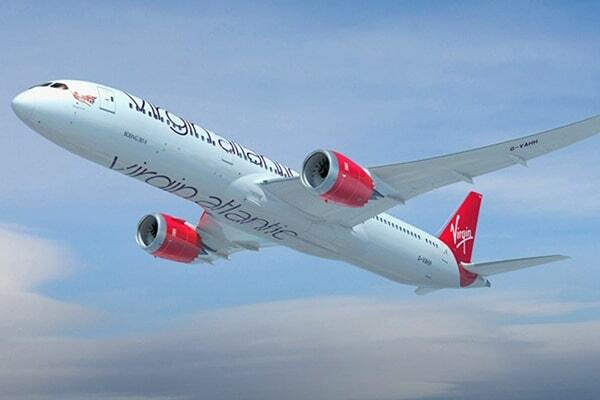 Customer service and commitment to Virgin Atlantic passengers has been the driving force of this airline. Stretch out in your extra legroom seat on a Virgin South Africa flight & enjoy priority check in at the airport. Virgin Atlantic has a mixed fleet of Airbus and Boeing and provides travellers choices from Economy, Premium Economy and Upper Class (Business). Premium Economy provides a separate check-in area, priority boarding including a wider seat affording more legroom while Upper Class has passengers comfortably relaxed in seating that converts into full flat beds. Virgin Atlantic was the first airline to provide passengers travelling in all classes with personal entertainment. The Flying Club is Virgin Atlantics’ frequent flyer programme with its lounge named the Clubhouse which is accessible for passengers travelling in Upper Class and Flying Club Gold Tier members. Passengers can choose their seat in advance once check-in opens 24 hours before their flight for free but if pre-booking a specific seat before this time-frame, a fee of £25/$40 will apply. Exempt from this fee are Upper Class, Premium Economy, Economy Y or B, Flying Club, Delta, SkyMiles, Diamond, Platinum or Gold Medallion members. Virgin Atlantic will try to seat families with children under the age of 12 years together for free before online check-in opens 24 hours prior to departure. For South Africans nothing is easier than Checking-in online under Manage your flights by simply providing your name, surname, booking reference or e-ticket number and if travelling with only carry-on luggage, print or download your boarding pass to your mobile device. Alternatively at OR Tambo International you can go to one of six check-in counters that open four hours before departure and are located in the Departure Terminal where friendly Virgin Atlantic staff will assist you with checking in as quickly as possible. Carry-on From 1st September 2015 the allowance for Gold Flying Club member passengers is two items with a total weight of 16kg or one item weighing no more than 12kg. Members must have their current Gold tags displayed on their hand luggage. Passengers travelling Economy or Premium Economy class are permitted one carry-on item with a maximum weight of 10kg. If taking a laptop you need to pack it into your hand luggage. Upper Class passengers are permitted two items with a combined maximum weight of 16kg or an individual maximum weight of 12kg and may include one garment bag 20cm thick but not exceeding 12kg in weight. Upper Class carry-on luggage is applicable to children from 2 years and older. Infants aged up to 2 years are permitted one item with a maximum weight of 6kg while children 2 years and older are permitted one item with a maximum weight of 10kg. Carry-on luggage for all classes may not exceed dimensions of 23x36x56cm. Guests travelling with an infant or child may additionally take a fully collapsible pushchair and car seat. All passengers must be able to place their carry-on luggage into the overhead bins without assistance. Passengers may additionally take on-board a handbag, pocketbook or purse, an overcoat or wrap, an umbrella or walking stick with no pointed ends, a small camera and/or binoculars, infants food for during flight and a small amount of duty free goods. Laptops and electrical items will need to go through scanning. 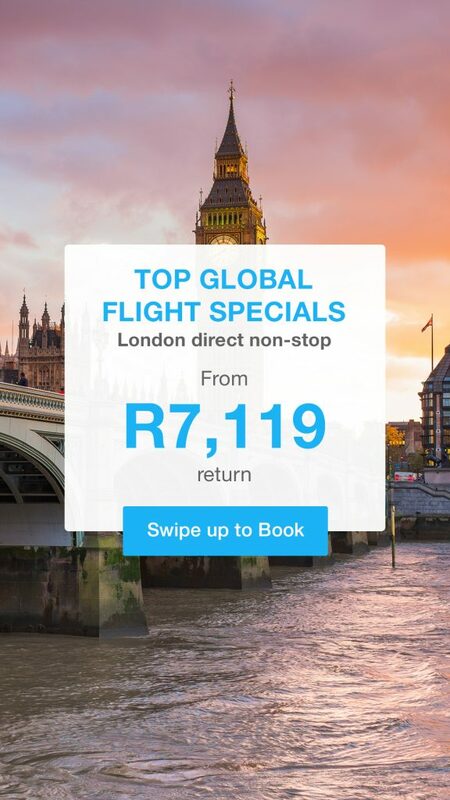 Some flights cater for walking aids and manual collapsible wheelchairs provided there is space. Not permissible in carry-on luggage are torch-type cigarette lighters, non-safety matches, toy guns, catapults, any sharp item, sporting bats, snooker or billiard pool cues, firearms, ammunition, explosives and dangerous articles. Hypodermic syringes are allowed if you’re suffering from a medical condition that requires injecting during flight but you must have the required medical evidence to support this. Passengers travelling in Economy Class are permitted one bag with a weight up to 23kgs with exceptions for flights from the UK, USA and Canada to India, from the USA to South Africa and from the USA or UK to Lagos, where passengers have an allowance of two bags. The airline will carry most sporting equipment in addition to your allowance at no extra charge, provided the weight is less than 23kg but it is best to check the website relating to your specific equipment. Premium Economy passengers are permitted two bags up to 23kg each with the exception of flights from the UK/USA and Canada to India where three bags are allowed. Upper Class passengers may take three bags weighing no more than 32kgs each on all routes. The check-in allowance for infants is one bag plus a collapsible pushchair and car seat weighing no more than 23kg each. Dimensions for luggage for the above may not exceed 90x75x43cm. Infants that are travelling on the lap of a parent or carer may take one piece of hand luggage weighing no more than 6kg in addition to their hold baggage. Extra luggage cannot be purchased for infants. Booking your extra luggage online costs less than doing it at the airport and you can take as many as 10 extra bags with you weighing no more than 23kg each. travelling with Virgin Atlantic, regardless of the class you’re in, you can expect superb service with appetising meals to keep you more than satisfied. The airline has celebrity chef Lorraine Pascale who cooks up mouth-watering children’s meals with that home-cooked taste. Depending on the time of your flight, you may indulge in a wholesome breakfast, enjoy afternoon tea or receive a before-dinner drink from a selection of beers, wines and spirit miniatures including soft drinks before commencing with your starter, followed by a delicious main meal, a scrumptious dessert and ending off with cheese and biscuits and tea, coffee or hot chocolate. You’ll certainly not arrive at your destination hungry. Pets are welcome to fly with Virgin Atlantic and like humans can earn Flying Club miles with the airlines Flying Paws scheme. Before booking ensure that the flight you want to book permits pet travel and has space. Pet booking must be made within 7 days to departure. Owners of pets travelling from South Africa need to arrange their booking with an IPATA (International Pet and Animal Transportation Association) pet agency. You’ll find an agency and everything you need to know related to animal travel at www.ipata.org as well as feeling a lot more confident when leaving your precious pet for their flight. To check on your flight status, go online and under Travel Information youll find Flight Status. Click on that, your date of travel and youll see the status of your flight with departure and arrival times including terminals. You can check online up to five days in advance or on the previous day. Booking your ticket (e-ticket) online affords you a 24-hour cooling off period and should you wish to cancel or change it all you need do is phone your local contact centre within 24 hours of your booking, outside of the 24-hour window fees may be applicable. If you booked with a travel agent you need to apply for a refund through your travel agent. Passengers with paper tickets should cancel their booking and provide the airline with a brief explanation for the requested refund and return their unused paper ticket to Virgin Atlantic Airways, Refunds Department, PO Box 1243, Crawley, RH10 0HW, United Kingdom.